When it comes to content marketing, creation is only part of the story. Content promotion, and the promotion tools designed to help you do it, are an often forgotten but powerful piece of the puzzle that helps you grow your blog much faster. While there are a million blog tools out there, only some are great at content promotion. It can be hard to find them while trying to execute on deadlines, so this guide will narrow down and only showcase the best of the best (and the ones we’ve personally tried at Wordable). A good content promotion tool needs to be affordable but also needs to get results. 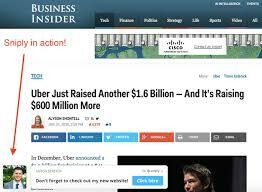 It can’t be reserved only for those with huge marketing budgets, and it needs to have a clear use case for promotion. The promotion tools on this list cover many parts of the process, from curation to analytics to ideationm email list building, email newsletter marketing, and more. They’re all helpful to help you boost your blog traffic and grow your online presence. Quuu Promote is a great way to amplify your powerful content in a somewhat automatic way. Quuu gives anyone the ability to put their social media on autopilot and share relevant content with their audience. Quuu Promote gives you access to those users who use Quuu and pushes your content to their timelines. Normally, this results in a small uptick of pretty relevant traffic (since the users choose which niche they wish to share content from). I’ve found you don’t get an overwhelming amount of traffic here, but it’s a good boost, and it’s not irrelevant vanity traffic. When you share on social, you risk mucking up your Google Analytics data with “dark traffic,” which shows up as “direct” traffic regardless of the channel it came from. Sometimes, it will be filtered into various social sources to be confused with organically shared content. Smart marketers want to get more granular with their content promotion data. Smart marketers, in addition to using UTM tags properly, use tools like Bitly to get better data on their social links. Buzzsumo is a multi-purpose content and SEO research tool. It gives you wonderful data on influencers in your niche, as well as which content is the most shared and most successful for any given topic. This is the type of data you can use before you produce content in order to build up a robust content creation and promotion plan. In addition, it can give you insights on what type of content influencers like to share, and it can also give you a nice list of influencers with whom you should acquaint yourself. 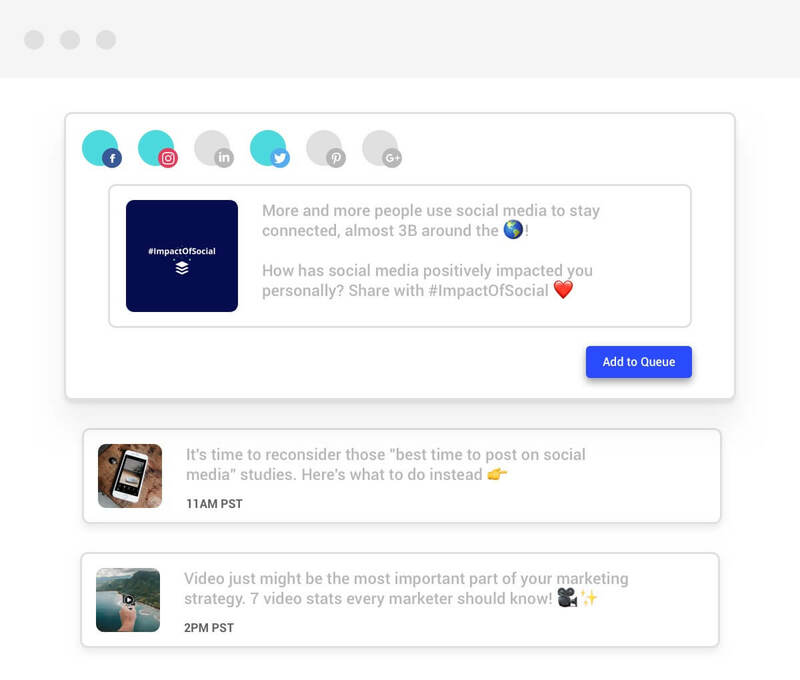 Mention lets you track your online brand mentions in a multitude of places, from social media to search engines to forums and more. If you’re doing link building, public relations, or any sort of promotional activity at scale, it’s nice to track things at the aggregate level (how many mentions have you gained this week and has it improved since last week?) but also at the granular level (has this high domain authority given us a dofollow link?). Mention lets you do both, and it gives you a high level of visibility over all of your promotional activities and brand awareness. If you do any sort of email outreach, whether it’s for sales, partnerships, or good old content promotion and link building, Mailshake is a tool that can help you do it more efficiently. It’s billed as a sales acceleration tool, but I’ve used it a ton in the past for things like scaling out link building (e.g. using link reclamation or the Skyscraper tactic), but also for emailing everyone mentioned in a blog post to see if they’ll share it. Honestly, it’s good for tons of small business marketing tactics that involve sending emails. It’s got tons of use cases, and it’s quite affordable too. 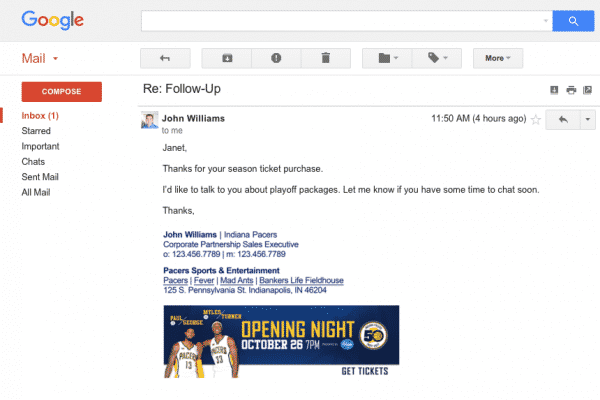 If you find yourself sending mass emails and want to personalize them and get better results, this is a good bet. 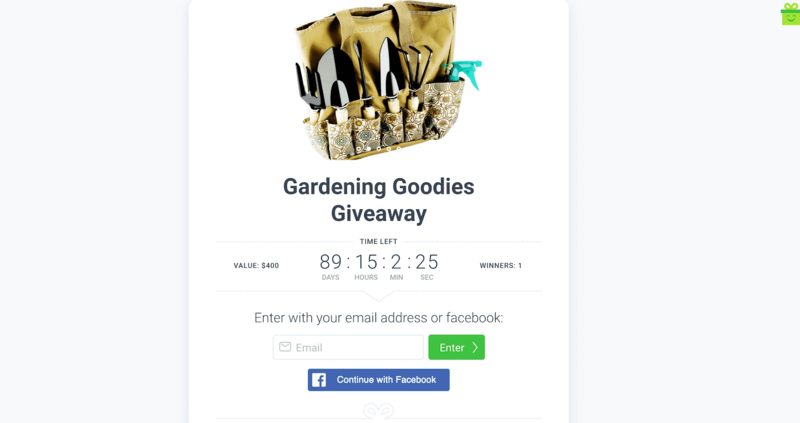 KingSumo helps you build your audience through viral giveaways. Most email list building tactics are slow and steady and rely on building good content over the long term and slowly collecting emails using lead magnets. KingSumo injects a little bit of adrenaline to that process, and helps you collect emails super quickly by doing giveaways. There are definitely other use cases than content promotion, but I find your email list is your best content promotion asset, and this is one of the best ways to quickly build up your email list. Sumo is the parent company that operates KingSumo, but I wanted to list them separately because they have so many great tools for small businesses and bloggers. Some of them help you build you email list, like their scroll box and welcome mat popups. Some of them help you get more social shares like their social share widget. But the whole suite is quite affordable and gives you lots of tools to grow your blog. Buffer is another great tool to leverage social media for more traffic. They have several features, the most visible being their social share widget and their social media post scheduler. I’ve used tons of social media management tools, but this is definitely my favorite of them (apologies to those that follow on this list). It’s the simplest to use, and it really only lacks the most fringe enterprise features. If you’re running marketing and social for a blog or small company, Buffer will completely satisfy your needs. On the other hand, some business do indeed need those fringe enterprise features when it comes to social media marketing, and Hootsuite has them. Like I said, powerful. But it can sometimes be overkill for a content marketer who simply wants to amplify the reach of blog posts. In any case, if you work at a larger company, this is the software to give a try. HubSpot is an all in one business software that has since expanded beyond marketing into the sales and customer service worlds, but they have many specific features that can help you amplify your content marketing efforts. Then, once you collect the leads, you can pipe them into their free CRM and use the email marketing tool to send emails. They also have social media and marketing automation feature, though those get into the paid tiers. Anything you want to do in terms of marketing can pretty much be done in HubSpot, but it just depends how much you want to invest in one platform and how much value you get out of the package. Mailchimp is the go-to email marketing solution for most small businesses, startups, and bloggers. Why? It’s free (to start), simple to use, and has all the basics features you need to send out emails and even do a bit of personalization. In the past few years, it has expanded a bit beyond the basic email marketing features, and it now has an automation feature, landing pages, lead capture, and more. Basically, it can act as a full suite content marketing platform in its own right nowadays. Despite there being more powerful email automation platforms, I have to admit, I still really love using Mailchimp for my email newsletter. I’m used to the interface, I get nice and simple analytics, and the deliverability is great. Triberr has been around for a minute, but it’s still probably a bit underutilized in the content marketing world. What’s it do? It helps you amplify your content and social reach through the power influencer networks. In that way, it’s got a similar value prop to other content curation and distribution tools like Quuu Promote, but I’ve found Triberr is much better at identifying and picking and choosing which influencers share your content. Quuu gives you a good lift overall and floods your content through Twitter, but Triberr is when you want to get more selective. It’s good to try and use both of them in tandem. Viral Content Bee is a social media platform that helps you schedule posts, distribute your content through an influencer network, and increase the performance of your promotion program over time through transparent analytics. It’s a pretty effective tool, kind of a combination of influencer channels like Quuu and Triberr and a social platform like Buffer. Pretty neat overall. “Most “automation” tools need you to refill them with fresh posts, all the time. Fill your library, set your schedule, and Edgar does the rest! Abundance of exclamation points aside, this is a pretty attractive value proposition. The less time you spend on repetitive stuff, the more time you can spend on meaningful activities (that’s the Wordable value prop, anyway). 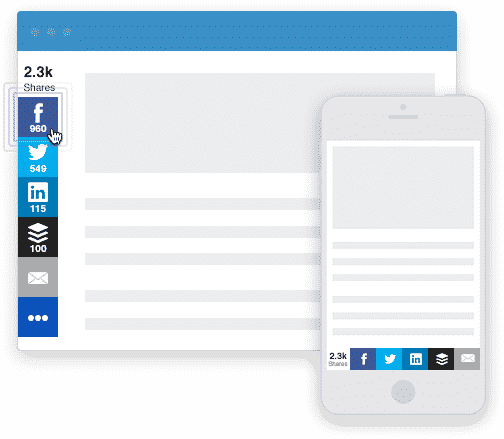 Edgar lets you automate a certain part of your social promotion so you can focus on high leverage and strategic content promotion activities with your spare time. IFTTT is a general, all purpose automation tool. It’s in the iPaaS category of software, so it helps you integrate your disparate and unconnected software applications. This is helpful in many ways, mostly limited only by your imagination (and sometimes by a product’s API limitations). Finding and engaging with influencers who Tweet about certain topics or hashtags. You can use Zapier for a lot of this stuff too. 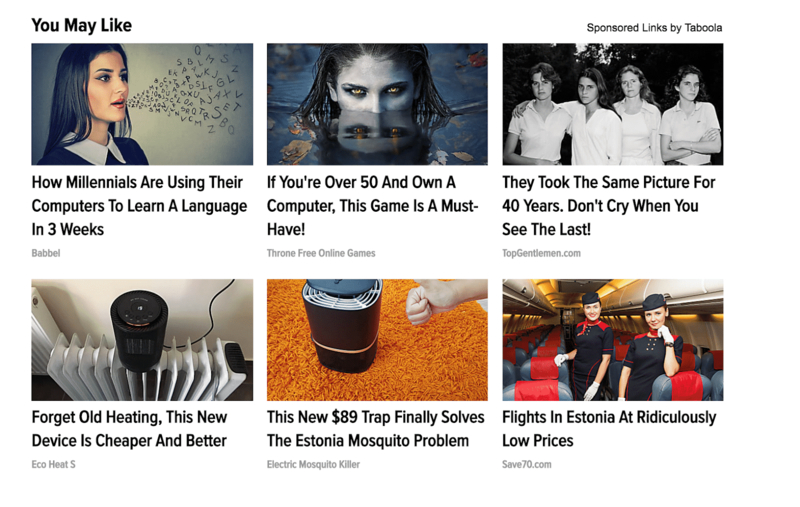 If you write for BuzzFeed or sell questionable diet supplements, maybe these channels can work for you. Sigstr is an awesome product that allows you to fill normally boring an unused space – your email signature – with interesting content and the chance to promote your latest and greatest content. Of course, there are many use cases of your email signature, many of which are sales-oriented, but I find it simple yet effective to put your latest blog post or something you’re trying to promote in your signature. It’s low hanging fruit. This is a somewhat questionable tactic, mostly because, as a reader, it’s wildly annoying to get your friend or influener’s CTAs on every piece of content you open from them. It was, however, effective for quite a while when Sniply first came out. Nowadays, I’m not so sure, as tactic fatigue surely set in. Still, it’s worth a test. Buzzstream is a content promoter’s dream suite. It’s used mainly for email outreach at scale, so if you’re doing any sort of influencer outreach, public relations, or link building, you should definitely at least give this one a try. Not only does it help you find contact information and social profiles from your prospects, but it helps you templatize emails and personalize them at scale. Finally, it’s got a great management and reporting feature, so you can test different copy on your emails and see what works best. Moz is an SEO company with a whole suite of tools, some useful, some not. The best part is their Mozbar, which is free and gives you quick SEO stats like Domain Authority and Page Authority. It’s great for content promotion because it gives you a really quick glance at the competitiveness of a given search query, and it also helps you prioritize which link building opportunities may be most impactful. Another similar extension is SEOQuake, though their metrics are more convoluted (though they have other cool features like scraping). Ahrefs is my favorite SEO tool by far. It’s where I spend most of my time when I’m doing content marketing, whether that is to plan new content, do competitive analysis and see what the landscape looks like for a given keyword, or to analyze our link building efforts and find great link opportunities. It’s hard to summarize Ahrefs in a few paragraphs, but it can basically do everything in terms of site and link analysis. It’s great for uncovering potential keywords that exist within your own site, but it’s also great for rank tracking and long term SEO management. Well worth the cost in my opinion. Voila Norbert helps you find people’s email addresses and verify that the one you have is right. Simple? Yes. Super helpful? Totally. If you’re doing any sort of email outreach, you’ll need something like this, and Voila Norbert is one of the best. ContactOut does the same thing, but since it is built for HR folks (and because it is more enterprise), they get you people’s Gmails. It’s actually pretty impressive and scary how accurate they are. Capturing leads on your site? 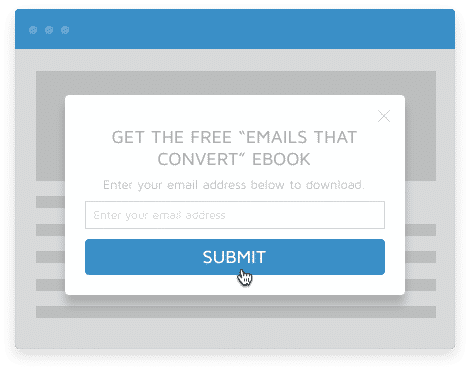 We’ve already talked about popup options from Sumo and form builder options from HubSpot, but why not try something a little bit outside the box? Survey Anyplace lets you create fun quizzes and surveys. It’s wonderful for lead generation because you can generally ask for more information in these interactive and fun interfaces, and you can pipe the data right into your CRM or email tool. If you’re not measuring your efforts, you’re not doing it right. Of course, almost every one of the tools on this list has its own reporting dashboard. But when it comes down to it, nothing here can beat the simplicity and power of a good old fashioned Google Analytics setup. Plus, no matter what other tools you’re using for your blog or for your content promotion, Google Analytics can centralize all of this data and help you organize and make sense of it. UTM tag all of your campaigns, track appropriate goals and events on your site, and programmatically create impactful reports for your team, and do it all easily with a free Google Analytics account. There are tons of marketing tools out there nowadays, and the promotion tools market has expanded like all other niches have. As such, it’s harder and harder to determine a dud from a diamond, and most of the new ones that come out every month end up being duds. However, those that appear on this list cover the fundamentals and more. I can’t imagine we’re missing anything absolutely crucial, though you should definitely point out if we are (comment below). In addition, let us know if there is anything new or shiny that we should include on the list. I saved 3 hours uploading this post from Google Docs to WordPress using Wordable.